Are you stuck in these millennial money traps? We millennials don’t have the most pristine reputation when it come to managing money. The reality is that for many of us, the reputation is well-earned. There are more millennial money traps out there than ever before. We live in a time when access to pretty much anything we could ever want is a just a credit application away. Numbers on millennial net worth however, are not encouraging. More and more of us are living paycheck to paycheck and have next to nothing in savings. 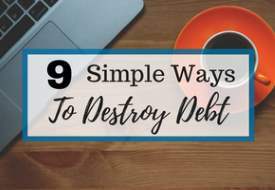 If you want to get your finances on-track and prevent yourself from having to dig your way out of major debt later on in life, keep reading. Cars are getting more and more expensive every year. With the average price of a new light vehicle in the USA now just tipping over $37,000 (More than $33k in Canada), it’s more important than ever to get the most value you can out of your car. If you’re upgrading your car every year or two, you’re probably leasing. While leasing your vehicle can make sense in some situations, it’s a bad idea for most of us. Why? It’s simple – most leasers continue to lease. This means you make payments forever and never build equity in your vehicle. Equity is the difference between what your vehicle is worth and what you owe on it. You want to have as much equity in your car as possible. If your car is worth less than you owe on it, you have negative equity. This isn’t ideal, and yet many of us accept it as part of modern vehicle ownership. Rolling negative equity from your previous vehicle into a new vehicle loan is becoming more common. This is also called being ‘upside down’ on your car loan. As an example, if you owe 20k on your car, and it’s only worth 15k, you have 5k in negative equity and are upside down on your loan. If you trade that vehicle in to a dealership offering to roll in your negative equity, they will just add the 5k onto your new car loan. Now, it’s not uncommon for a car to go down in value 10% just by driving it off the lot. If your new car costs 40k, it could be worth 36k by the time you get it home. Add your 5k in existing negative equity to that and you now owe 45k on a vehicle that’s only worth 36k. You’ve just turned your 5k in negative equity into 9k. The more times you do this, the worse it will get. How can you avoid this millennial money trap? I’ve always thought it buy used and either take a short-term loan that you can pay off within a year or two, or purchase your vehicle outright. It’s a good idea to decide how much you want your car to cost you annually and buy accordingly. I get it, most of us want a bigger and better house. I’d love to have a place with a bit of land, a three car garage and a hot tub, but I just can’t afford it. I mean, I could probably make it happen if I went up to my eyeballs in debt but I don’t want that kind of liability. A house is the most expensive thing that most of us will ever buy and thus is one of the most important purchases you will ever make. How big your mortgage payment is relative to your income means everything when it comes to budgeting. Too much mortgage and you become house poor. The most sensible way to buy (or rent) a home is to decide how much you can afford (typically around 30% of your gross income), and then start shopping around. Don’t bend your budget to afford a house. It’s going to serve you better in the long term to buy a less expensive place now and upgrade later than to buy a place now that’s out of your budget. You’ll be struggling for years. We have friends that go on expensive holidays every year. I really wish that I could do that for my family but it’s just not in the budget. The reality is, it’s not in most millennial budgets. Holidays are often bought on credit so that we don’t feel like we’re depriving our kids of an opportunity to do something fun (Disneyland anyone?). This is a habit that can set you back years financially and should be avoided. If you want to do a big holiday, just cost it out and then start saving. Once you’ve got the money, take the trip. Make sure to save up a little extra (20-25% is usually good) to cover unexpected expenses. Holidays feel so much better when they’re paid for! Another thing you can do to avoid the high cost of air travel is to go somewhere within a couple of hundred miles that you can drive to. Snowmobiles, quads, motorcycles, etc. Whatever your toy of choice, it’s going to cut a huge chunk out of your budget. There’s nothing wrong with owning some fun stuff, but buying it with credit is going to cost you a lot more in the long run and probably result in your enjoying the toy less. Save up! If you really want a quad, you can get a waaayyy better deal on a 3-5 year old model that’s been lightly used. Start shopping around while you’re saving to get a good handle on what’s out there and what you want to spend. When you’ve got the money saved, have at ‘er! It takes some planning, but it’s pretty easy to avoid financing furniture and appliances. 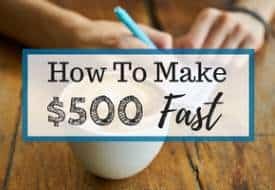 A broken washing machine, television or computer can usually be replaced for less than $500 with a decent, used model. If you keep a modest emergency fund this should be more a nuisance than a hardship. As for furniture, save up to replace it! There are very few couch emergencies that necessitate immediate replacement. Financing furniture is usually the result of impatience. If you saved for a few months to buy your new set, you could avoid the extra monthly payment. Don’t finance everyday things. Try to save up a modest emergency fund to cover appliances that must be replaced immediately, and save up for furniture purchases. Furniture is also best bought on Black Friday or Boxing Day to get the best deals. An important part of smart money management is setting aside some cash for yourself. This could be money for eating out with friends, upgrading hobby gear, going to a concert or whatever makes you happy. The point is, make sure that you’re doing things for yourself and keeping life fun, it will help motivate you to stay on track. Make sure spending or personal money is a line item on your budget. Decide what’s most important to you and set money aside for it. My children are all under ten at the time of this writing. Even now, I’m learning that as kids age, their tastes get more and more expensive. Their clothes cost more, they want Ipads instead of stuffed animals for Christmas, dance lessons, hockey…it goes on and on. Kids are already expensive and many parents (myself included) have a tendency to give our kids more than they need. Related Post: How Much Allowance Should You Give Your Kids? Don’t go into debt for kids stuff. Decide how much you can afford to spend on these things for your kids and stick to it. Recruit your kids to help you find deals on the things that they want and need. For birthday and Christmas gifts, combine forces with grandparents, aunts and uncles to buy your kids fewer, higher quality gifts that will last. This one is hard to avoid. Phones are small, expensive and extremely fragile. Really, you should be able to get four or five years out of a thousand dollar device that’s the size of a deck of cards, but they have a way of getting broken or upgraded well before then. When you do buy a phone, get a good one. Modern high-end smartphones have amazing cameras and robust software that should last a few years. Phones aren’t getting so much better year over year that it’s worth annual upgrades. Also, buy a good case for your phone to protect it against drops. Consider device protection from your carrier or the manufacturer and take good care of your device! I would recommend not putting anything on credit that you don’t have a plan in place to pay back. Millennials tend to be more comfortable with just putting things off until later than our parents were. This is a mistake. Eventually, everything must be paid for. If you don’t know where the money will come from, do yourself a favor and don’t buy it! The way to avoid buying things you don’t know how to pay for is a combination of planning and self-control. Know ahead of time what you’re going to need for the month, and year and put money aside accordingly. I’m not against financing. In fact, I think that most forms of credit have their place and can even be beneficial when used wisely. 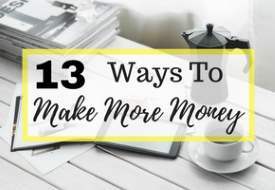 What’s important to remember however, is that every time you finance something, whether it’s a home, car or furniture, you’re giving up a little bit of future flexibility. You’re committing to pay for that thing for years to come no matter what happens in your life. That sounds good today, but what about in three years? You may still be making car payments when your refrigerator stops working. Because you still have a car payment, you now have less disposable income to deal with the refrigerator problem. You need a contingency plan in place. 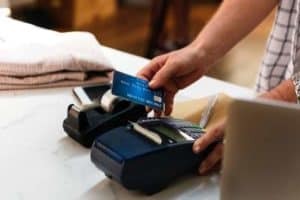 The more you choose to use financing as a means to buy things, the more cash on hand you will need to deal with other emergencies that come up. I guess what I’m getting at is that financing is only as good as the plan you have in place to back it up. So you’ve got a $400/mo car payment. Do you know how long you can make the payment in the event of a job loss? Many of us aren’t working the secure jobs with relatively high pay, benefits and pensions that our parents did. In order to ensure financial security, we need to plan farther ahead. 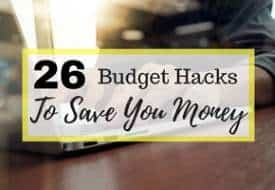 You should have a budget that outlines how you allocate your paychecks. It’s also wise to have a longer-term financial plan that covers how you will make future major purchases and deal with unexpected expenses. A solid budget combined with a good mid and long-term financial plan will get you to where you want to be eventually. 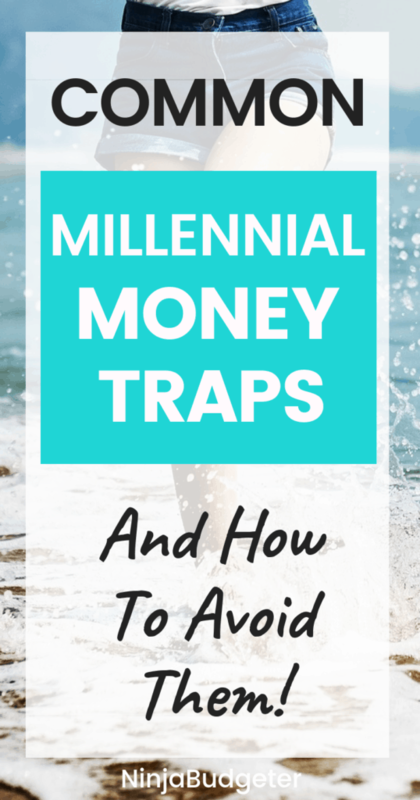 What do you think, what millennial money trap have you been caught in? I really think us millennial bite off more than we can chew when it comes to houses. I know we did when we first bought our house. We got pre-approved with a simple letter of acceptance from the Jail Academy I got hired into. We only had 10% down so the last 5 years we have been paying PMI. Literally throwing money out of the window. But luckily we finally own 20%+ of the house and our monthly payment is under $1,000 per month. Huge win for us. 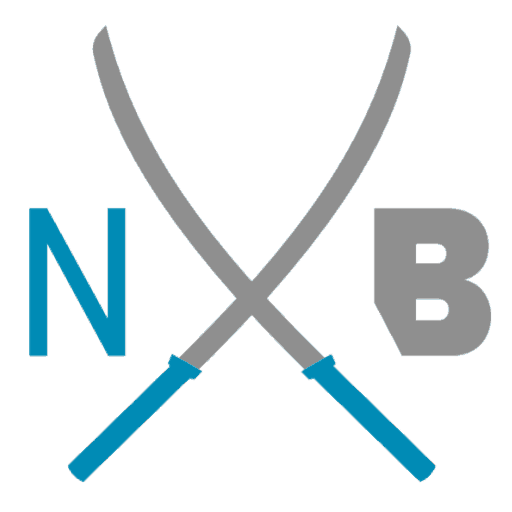 Keep up the great work on the blog. I can see you are making progress my dude! Good work on getting your housing costs under control! Under $1000/mo is impressive. We’re not far above that and for the time being, even thought it’s tight with 3 kids, we’re sticking it out. Thanks for the kind words about the blog 🙂 As you know, this is a long haul and I’ll take all the encouragement I can get! Killing industries is expensive, but somebody’s got to do it. The car one has always intrigued me, and trying to get Dave Ramsey (don’t buy a new car) out of my head is always a challenge. $37k for a new light vehicle blows my mind! And it is that kind of car that loses value quickly. I can get ~2 Hyundai Elantras for that price point, actually less. I am getting ready to purchase a new vehicle for the fleet and I love the 2017 version and when I check out used car prices, the gap isn’t big enough to motivate me on this lower-cost, but highly dependable vehicles. We will see what happens at the end of the month when I reach out to 5-6 dealers seeking their best OTD (Out-the-Door) offer. And for those who might be asking why buy new, it’s nice to be FI enough to have FU money (Thanks J. Collins). The $3-4k gap between new and used is small enough for me to not even blink and because of the types of advice you discuss above, and having the cash to be able to negotiate makes my choices today much easier. Thanks for the well-thought-out comment Stephan. I appreciate your perspective. Everybody’s situation and needs are different. I used to be really against the idea of a new car. Same as you, I listened to Dave Ramsey and thought his advice was bulletproof for everybody. The reality is, most of us live in shades of grey rather than black and white. If you’re interested in a unique perspective on car value, check out this article by Millennial Money Man, it has changed my thinking about cars and the amount we ultimately pay for the privilege of vehicle ownership.